Photo: Museu do Índio, S/d. The state of Mato Grosso do Sul contains the second largest indigenous population of the country, second only to Amazonas. Because they have a very large population and because they have intense contact with the regional population, the Terena are a people whose presence in the state of Mato Grosso do Sul is more visible, as saleswomen on the streets of Campo Grande or the legions of sugarcane cutters who periodically move to the distilleries for the changa, temporary work on the ranches and sugar and alcohol producing plants. This intense participation in the daily life of Mato Grosso do Sul contributes to the stereotype of the Terena as “acculturated” and “urban Indians”. Such statements serve to mask the resistance of a people who, over the centuries, have struggled to maintain their culture alive, knowing how to make positive changes out of adverse situations resulting from an age-old contact, besides rapid changes in the ecological and social landscape which the colonial powers and later, the Brazilian state have forced on them. With a population of approximately 13 thousand people, the Terena, an Arawak-speaking people, presently live in a discontinuous territory, fragmented into small “islands” surrounded by ranches and scattered over six municipalities of Mato Grosso do Sul – Miranda, Aquidauana, Anastácio, Dois Irmãos do Buriti, Sidrolândia, Nioaque and Rochedo. There are also Terena families living in Porto Murtinho (Kadiweu Indigenous Land), Dourados (Guarani Indigenous Land) and in the state of São Paulo (TI "Araribá" Indigenous Land). In the last two places mentioned, Terena families were taken there during the administration of the Indian Protection Service (SPI) to serve as an “example” for the local Indians (an example of diligence in agriculture and also of “obedience” to the control system imposed by the employees of the agency). The present-day Terena indigenous reserves were “requested” from the state of Mato Grosso by the SPI in the 1920s and ‘30s; two of them, however, (Cachoeirinha and Taunay/Ipegue) were “granted” by the state government at the beginning of the century. The total Terena population in the state of Mato Grosso do Sul is around 16,000 people. Of this total, 13,629 still live on the indigenous lands cited above, or around 2,400 families. Last survivors of the Guaná nation in Brazil, the Terena speak an Arawak language and have essentially Chaco culture traits(people from the region of the Chaco). The dominion of the Arawak language groups over the various other indigenous peoples of the Chaco, all of them hunters and gatherers, was due to the fact that they were groups which, from ancient times, were predominantly agriculturalists – and with this economic base they were organized socially into more populous local groups (villages) which were both expansionist and warlike. All the chroniclers who had contact with the Guaná in the 16th and 17th centuries noted the existence of “captives” among them – prisoners of wars with other ethnic groups of the Chaco, such as the Chamacoco, Chiquito and Guató, mainly. They also noted that these “captives” were treated with kindness and were not humiliated, revealing that they were at the same time employed in domestic and non-agricultural tasks and that they represented social prestige for their masters, more than any economic value strictly speaking (Cardoso de Oliveira, 1968). This observation is supported by the fact that the captives were treated as “foreigners” and the term "kauti" – which is still used today by the Terena – is a corruption of the Spanish-Portuguese term “captive”. That is to say: they were "captives" because the Westerners saw them as such. These considerations are important because they provide elements for understanding the ethos of the present-day Terena and, above all, the social and political meaning of the alliance of the Guaná with the Mbayá-Guaycuru, an alliance which was responsible for the great Guaná migration to the eastern banks of the Paraguai River in the last two decades of the 18th Century. The political and social process which involved a demographically superior and stratified society (the Guaná) and another society inferior in population and predominantly hunter-gatherer has as yet been studied very little. However, the relations were clearly based on alliance and exchange of services (gardens x warrior protection) and of iron tools obtained by the Mbayá in their raids on Spanish settlements. The historical data lead us to suspect that it was Guaná agriculture that allowed the Mbayá to increase their warpower and which, together with the horses taken from the Spaniards, transformed these people into the most skilled war adversaries against the colonization of the banks of the Paraguay River between the Apa and the Taquari. Scholars of the Chaco peoples maintain that the Chané or Guaná had a much more sophisticated social base than their neighbors, the Mbayá. They were stratified into hierarchical layers: the "nobles" or "captains" (the Naati or "those who order") and the "plebeians" or "soldiers" (Wahêrê-xané, or "those who obey"). And, in the words of Sanches Labrador "...they seek to give continuity to the noble mystique of their blood by those of equal hierarchical status marrying amongst themselves" (apud Cardoso de Oliveira, op. cit). The Guaná-Mbayá alliance relations were founded in marriage: the Guaná chiefs granted women of their caste to marry with the Mbayá “big men.” In this way, the relations between these two groups over time formed a complex social structure: on the one hand, an autonomous social segment (Sanches Labrador never tires of emphasizing the "independence of the Guaná communities") which occupied the position of provider of women and food; on the other, a warrior caste which had the position of takers of women and which was responsible for the security of the local groups and suppliers of iron tools and horses. Perhaps the female infanticide practiced by the Mbayá and observed by the chroniclers was the result of this same social structure: for, to marry one’s own women would be the equivalent of undoing the basis for the alliance with the Guaná. In the 1760s, the growing pressure of the Spaniards on the Mbayá territories located on the west banks of the Paraguay, together with internal disputes for warrior prestige, forced numerous Mbayá and Guaná subgroups to migrate to the eastern side of the river. This migration probably continued up to the first few decades of the 19th Century. 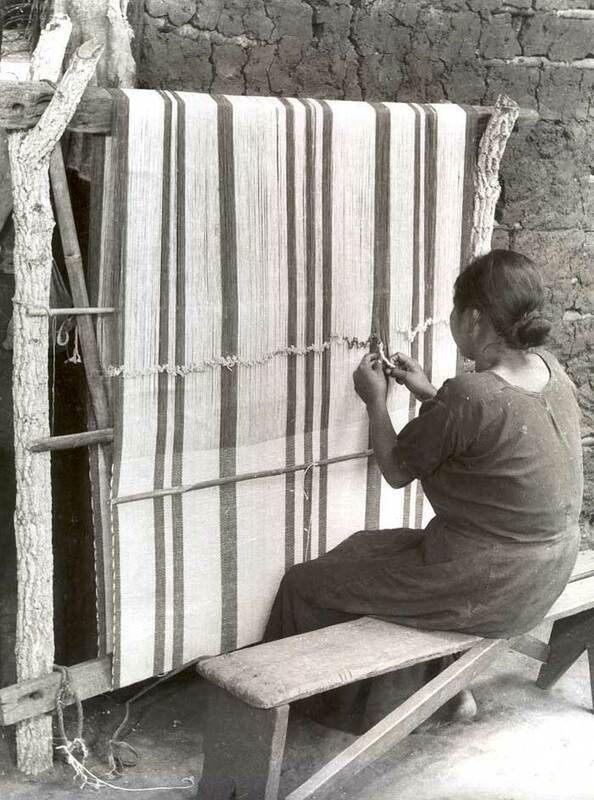 The Guaná subgroups – Terena, Echoaladi, Layana and Kinikinau – which settled to the east of the Chaco, however, maintained the traditional form of organization in moieties and endogamous social strata in the new territory, as well as their gardens and also alliance with the Mbayá-Guaykuru. “I have the history with me, the history of my father. Here in Cachoeirinha there was no-one... My father is from here. His great-grandfather came from Êêxiwa (a region covering between the right bank of the Paraguay River and the so-called “ridge of hills” of Albuquerque – today Corumbá – on the left bank of the same river), my father told me. They had been attacked by other different Indians there from the Êêxiwa. Then they came from there, they crossed the Paraguay river to Esperança Port, behind the ridge of hills... They stayed a bit near Corumbá and later they made a village here, in Miranda... In that time there were no purutuyé [Whites], only Indians, the Terena, Laiana, Kiniquinao, Echoaladi, Caduveo...” (Felix, 87 year old Elder, dweller in the village of Cachoeirinha). "My grandmother, my grandfather came from Êêxiwa. They used a really large bamboo to cross the river... They wove vines (hymomó) to make a canoe to cross the huveonókaxionó ("river of the Paraguayans")..."
(João Martins, 83 year old elder, dweller of the village of Cachoeirinha). The resistance of the Mbayá-Guaykuru to the advance of the Paulistas who moved in the direction of the region of Cuiabá, kept the Guaná at a distance from relations with the Europeans. This situation continued until the last decade of the 18th Century, when, in 1791, a peace treaty was signed between Portugal and the Mbayá-Guacuru. This treaty gave permission for the Portuguese to make settlements, even though incipient, on the right bank of the Paraguay, at the same time as it resulted in the wearing out of the alliance between the Guaná and Mbayá. One of the props of this alliance, as we have seen, was the supply of iron tools to the Guaná by the Mbayá – which the Guaná began to obtain independently, through direct commerce with the Portuguese. Having removed the threat of constant attacks by the “Indian horsemen”, small Portuguese/Paulista population nuclei began to form around the frontline fortifications that had been built in the region during the two decades prior to the signing of the treaty, due to the border dispute with Spain: Fort Coimbra (1775), Fort Príncipe da Beira (1776) and the Prison of Miranda (1778). These relations of friendship between the purutuyé (Portuguese) and Guanás were strengthened by agents of the Crown: in 1797, one of the main Guaná chiefs received an official letter from the General Governor of the Captaincies of Mato Grosso, in exchange for his loyalty and vassalage to the Portuguese Crown. The document recommends to the Portuguese official agents that (the “captain” and “all his people”) “ ...be treated and assisted in all respects as friends and vassals of the Portuguese Crown, allowing them to enjoy all the freedoms, privileges and immunities which all other vassals of the same Crown enjoy...” (original document deposited in the Public Archive of the state of Mato Grosso, in Carvalho &Carvalho; 1998). “Of all the tribes of the Paraguai (the river, we emphasize), this is the one which is most in contact with the Brazilians. Tillers of the soil, they cultivate corn, sweet cassava and manioc, sugarcane, cotton, tobacco and other plants of the country. Manufacturers, they have several mills to grind sugarcane and they make large pieces of cotton cloth to clothe themselves, as well as hammocks and sashes. Industrious, they go, in their canoes or in those of the Brazilians, to Cuiabá to sell their articles of clothing, sashes, suspenders, saddlecloths and tobacco”. The outbreak of conflict between Paraguay and the Triple alliance, at the end of 1864, would dramatically change the way of life of the entire Guaná nation, beginning a new phase of their contact. One of the main areas of conflict was precisely in the territory of these peoples who, allied to the Brazilians, suffered attacks and reprisals from the invading troops. It is clear that all the villages then existing in the region of the Miranda and Aquidauana rivers dispersed, and their inhabitants sought refuge in inaccessible forests in the region (such as the place called Pulôwô'uti, to which the inhabitants of Cachoeirinha fled) or in the hills of Maracajú (where Taunay was in 1866, near the Piranhinha stream and which was used as refuge by the Kiniquinau). In his report on the “state of catechization" in 1866, the Director of the Indians reported that "...I can report nothing to Your Excellency on the state of the villages... due to the fact that that part of the province has been occupied by Paraguayans since January of last year...". In 1870, the same Director informed the President of the Province that the director of the villages of Miranda, Friar Mariano, had been captured and taken prisoner by the invading forces. The village of Ipegue was destroyed by the invading troops in 1866. Despite the intense participation of the Guaná on the side of the Imperial troops and in defense of their lands – the episodes of their participation were narrated by Alfredo Taunay (in his works "Among Our Indians" and "Withdrawal from the Lagoon") – the Imperial government did not recognize these efforts, and didn’t set aside even a foot of land for the Guaná – as it did, in 1880, for the Kadiweu in its concession of nearly 500 thousand hectares of land in the region of Nabileque/Bodoquena. The post-war impact: “times of servitude"
"In the various camps of the mountain (of Maracaju), vast and spacious lodgings were built and, little by little, the way of life was established of those hybrid colonizers of civilized (sic) Brazilians and Indians, above all kiniquinaus, to whom guanás, terênas and laianos became attached"
In fact, the conflict with Paraguay brought about a radical change in the modus vivendi of the Guaná with the local Brazilian population. 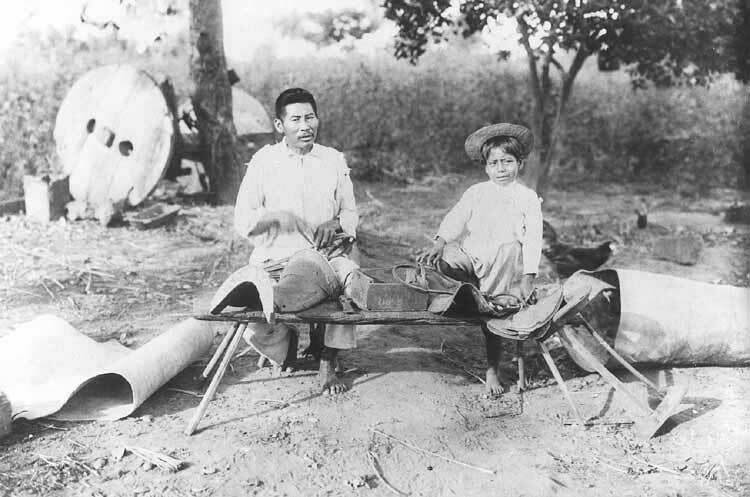 If the relation before was one of mutual dependence, supported by reciprocal trade and fair commerce and mutual respect between the Indians and the regular troops that made up the dominant population of the “prisons” of Miranda and Albuquerque, after the war, the indigenous populations began dealing with a heterogeneous and opportunistic population – which received official support for the “colonization” of the once-disputed region. In these new times, the old relation of respect and solidarity would be changed. The newcomers, ex-combatants who had participated in a violent war practically with no command (cf. Taunay, 1935), were generally adventurous and ambitious people, ready to fight to begin the occupation of a region which was devastated from the social and political points of view – as the official document cited above indicates. These new colonizers – most of whom had come from regions of Brazil where the relations with the Indians was one of superiority and contempt for the “bugre” [a racist term ]- were totally ignorant of what had been the role of the Guaná in the conquest and security of the region for Brazil. And the Indians were surprised at the thoroughly predatory character of these new porutuya and sought help as they could from the authorities at Cuiabá – who before had treated them with the respect due to allies – to defend their lands. 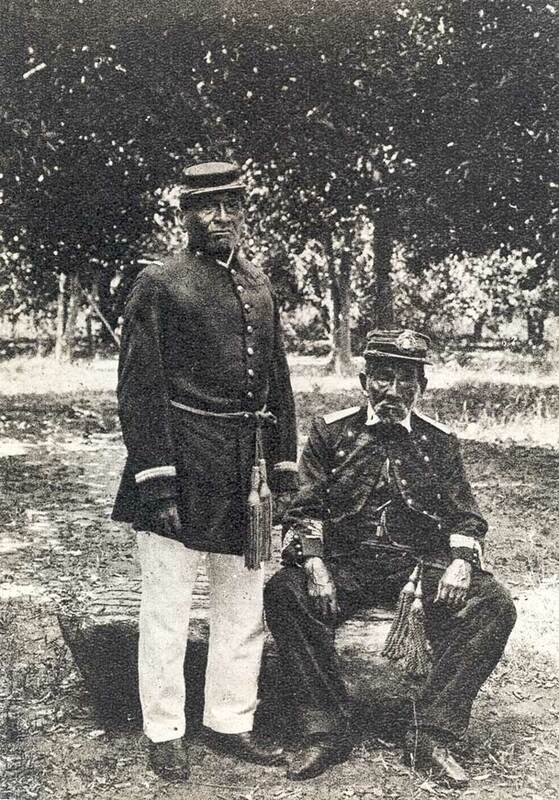 Regarding this situation, The General Director of the Indians declared the following, in November, 1871: "With regard to the Indian of the Terena tribe, named José Caetano, to whom the official correspondence from Your Excellency of the 7th of this month refers, the receipt of which I have the honor of acknowledging, what I know and can state is that the same, with several others of his tribe, totaling 17 people [and] Pedro Tavares, captain of the village of Ipegue, in the district of Miranda [declared] that, at the time of the Paraguayan invasion, not only his tribe as all others, and more inhabitants of the district, abandoned their homes and withdrew to the hills and forests, where they remained for six years; that, recently, on returning to their dwellings and re-occupying their homes, these Terenas found their village of Ipegue occupied by Simplicio Tavares, nicknamed Piché, who prevented them from resettling and working their ancient and ancestral lands; for which reason, they came to request that measures be taken against the stealing of their lands which they cannot do without. Another Indian of the same tribe, named Victorino, who wears the uniform of ensign, and is a member of the village of Nachedache, a league away from Ipegue, made a similar complaint to me". Further on, in the same document, this dedicated employee considered – taking into account the absence of a missionary to direct the villages of Miranda and that a “body of troops” had been established there – it to be "... convenient for Your Excellency to recommend to the military commander and to the authorities of the place total protection for the Indians and that they stay on their lands, seeing that it will still be years before Miranda returns to its old state and has the authorities necessary to constitute a town". "the Indians of the Normal Village of the Town of Miranda, who were dispersed as a result of the same invasion, having come back...I quickly sought to propose Captain Caetano da Silva Albuquerque as interim Director of the same village...", according to the report of the General Director in 1869. In 1871 the lieutenant colonel José Vicente Vieira Couto was named director of the villages and in this capacity, according to the report of the General Director, dated May 2nd, 1872, "... he succeeded in concentrating a large number of Indians in their old settlements...". However, the pressures on the lands of the villages were already great. "People at that time were afraid because they still remembered the boss who whipped them on the ranch. Anyone who was late for morning tea was whipped...my deceased grandfather told me. As punishment, people had to pull up weeds with their hands. When the food was ready, they measured all your work. It was fifteen braças [ancient measure of length] of work, and even if you didn’t finish the work of the day, next day they measured out another work, which accumulated" (João Martins Menootó, elder from Cachoeirinha). "They are often exploited by the ranchers. It is difficult to find a Terena fellow who isn’t in debt to his boss up to his neck...No 'account fellow' can leave his boss without his new boss assuming the responsibility for the debt. And, if he dares to run away, he almost always runs the risk of suffering embarrassment, beatings, and not on rare occasions, death, with the police figuring in all of this as co-participants in such punishments" (1949: 83-84). On all the Terena reserves today, the “sector” (as the Indians themselves say, and which they use as synonym for the “village”) is the most inclusive social unit, and is an autonomous political unit, that is, it has a “chief" and a “tribal council" that is responsible for the political relations of each sector. Less in Cachoeirinha, where the figure of the "general chief" still remains in force. Strictly tied to the village seat (the Indigenous Post), therefore, the political control of the Reserve still goes through the leaders of this village; in the other sectors, the “general chief" administrates the election and process of choosing the local “chief”. This political arrangement is still the source of many disputes and tensions among the sectors and the “general chief” (and, consequently, the Indigenous Post of the Funai). In short, contrary to what goes on in the majority of the other reserves, in Cachoeirinha the sectors have only a relative political and administrative autonomy (relative to the specific interests of the areas under their jurisdiction and their inhabitants). Each sector or village decides, within certain normative limits, the pending legal and political issues among its members. Questions that have to do with the group of sectors of the Reserve are discussed in large meetings, with the required presence of all the leaders of the sectors. In Cachoeirinha, these meetings take place in an area around the seat of the Indigenous Post. The village (or sector) is comprised of a set of homes located within its borders, established by certain “marks” (geographical features, roads, manmade lakes etc.) and after it is discussed with the leaders of the group of the Reserve in the context of the process of granting autonomy of a given village, since the villages were established over the history of the Reserve – a history which we have summarized above. The common interests, those which constitute the unity of the sector, are strictly political: access to lots for gardens is not in question here (we will see later on that this question is connected to the agnatic kingroup); what is demanded of the inhabitant of a given sector is his respect for certain rules of conduct. There is a certain margin of freedom to establish homes in any sector. This context of freedom is conditioned by the very situation of the Reserve: for, given territorial scarcity, the space provided by the Reserve does not constitute an indispensable and exclusive base for production which generates income and subsistence for all its inhabitants; rather the Reserve of Cachoeirinha is above all, for most of its inhabitants, a living-place and a place of reference for the continuation of the Terena ethos and identity (cf: Cardoso de Oliveira, 1968). One doesn’t live off the Reserve, but on the Reserve: in Cachoeirinha for example, of the 484 nuclear families (father-mother-young children) whom we censused in 1999, around 87 lived exclusively from work on their gardens (about 18%); another 268 combined work on the gardens with occasional work off the reserve (55%); the remaining 129 (around 27%) families thus lived only off work outside the reserve. Hence the observation made by Cardoso de Oliveira, back in the 1950s, that "the Indigenous Reserve, in the Terena area, has a definite meaning in the regional consciousness: it represents a natural labor reserve(1968). Thus, the Terena Reserve does not represent an indigenous territory, in the sense this term is usually used when, for example, we refer to Amazonian indigenous groups, that is, as a fundamental place for the social reproduction of a society, in the broad sense. We shall see in greater details further on how the situation of the Reserve has been a determining factor in the process of Terena integration into the regional economy. Summarizing our points: the sector is a social unit open to any Terena (including from other Reserves), different from what happens in other social units, which we will now go on to describe. The residences, in turn, are established in a given sector through the agglutinating focus of the agnatic kingroups (ienõchapá, or “my kin”) – which are constituted in the social unit of greater political and social density in contemporary Terena society, whether on the Reserve or in the city. This kingroup consists of domestic groups connected through agnatic ties (male line of brothers), their families of procreation (wives, children and grandchildren) and occasional aggregated individuals ( adopted children, "cousins", "or "uncles/aunts"), centered (and organized) around the figure of the chief – the father or (at his death) the eldest brother. The houses of these groups of brothers, in general, are located near each other. Their garden plots are contiguous, and there is economic cooperation and sharing of foods among the houses, thus constituting a unit of real production which overlaps the domestic groups which comprise the unit of production. Mutual support, including political support, is the rule – which does not mean that there don’t occur problems and fissions. Apparently, what guarantees the unity, growth and political weight of the agnatic kingroup is the capacity for leadership and agglutination of its chief – that is, his capacity for widening and keeping together the group of brothers. It should be noted however, that, while the composition of the agnatic kingroup is reckoned genealogically (hence its “closure"), its unity is constructed through the capacity of its leader to make the political solidarity and economic cooperation among brothers (and their respective conjugal families) effective. Residences, on the other hand, shelter the domestic group, which is minimally made up of two generations (father and sons) – and, maximally by four generations (grandfather, father, sons, and grandsons). From the technical point of view, the domestic group can be constituted by a nuclear family (composed of a married couple and their unmarried sons) or by an extended family (parents and son(s) and son’s wife (wives) or daughter(s) and daughter’s husband(s); or even by two brothers and their wives or two sisters and their husbands, which is very rare in Terena society). On the Cachoeirinha Reserve, for example, about 13% of the households shelter elementary families; the remaining 87% of the houses shelter extended families, which vary in their composition. The general rule in Terena society for post-marital residence is patrilocality (that is, the young wife going to live in her husband’s father’s house) – at least during the first years of marriage, until the consolidation of their marriage at the birth of children, when the couple establishes a new residence. This new house can be built in the neighborhood group of the father-in-law or his brothers, depending on the more or less agglutinative role played by the agnatic kingroup. On the other hand, the number of verified cases of uxorilocality (the young husband going to live in his wife’s house, which in general is her father’s house) is high – and it is the factor that “hastens” the building of a new house by the husband, as a rule next to the agnatic neighborhood group where he comes from – given that, in a society which is markedly patrilineal and which does not impose the moral or social obligations of rendering service to the wife’s father – the young husband feels uncomfortable in staying there for a long time (cf. Cardoso de Oliveira, 1968). Thus, the location of the villages is determined by the distribution of these neighborhood groups, whose unity, we have seen, is a result of the process of the constitution of the agnatic kingroup. But this apparent equilibrium in the social and political situation on the Reserves is maintained above all thanks to the rules of solidarity of the group of brothers, which, today, have been upset by the division between “catholics” and “believers” (and, among the “believers”, among the various churches present today on the Reserves). This ideological division, in the recent past, even contaminated the very nucleus of power on the Reserves (Altenfelder on Taunay-Ipegue and Cardoso de Oliveira  on Cachoeirinha). The distribution of the residences on the Reserves and in their respective sectors, along with the location of the garden plots, pastures and remaining plant covering well illustrates that the space for the installation of new domestic groups on the Reserves has, for years, reached its critical limit. One observes in the Reserve situation a process whereby, increasingly over time, certain external conditioning factors are imposed on the predominant living conditions there. This set of factors produces the need to search for work on the outside. And its perverse counterpart, which is the relatively high offer of labor – and the subsequent decrease in wages. For that reason, it is of no interest to the regional elites exploiters of this labor, to change the status quo – for there are very few ranches in the region which have not relied on (or rely on) Terena manual labor (cheap) for their clearing and/or upkeep. To any outside observer, it is obvious today that there is a causal link between the Reserve situation (lack of dignity in living conditions, translated into the high rate of migration and job-seeking), the difficulties of getting better living conditions in the urban milieu and the emergence of land claims actions which are unheard of in recent Terena history: the occupation of lands next to the Reserves, which recently occurred in Buriti. The changes in the historical landholding patterns of the Terena over the years and in the traditional mode of production (given that Terena society is not immune to innovations), as explained in the previous sections, have been fundamentally due to the situation of confinement on Reserves, as Cardoso de Oliveira observed back in the 1950s. It’s clear that an idyllic and totally unreal return to the socio-cultural bases of what things were like before the war with Paraguay is impossible; but it is very possible to expect that the areas which the Terena may recover in Mato Grosso do Sul will be occupied according to their traditions, customs and ways – taking into account several concepts which are more or less obvious for any anthropologist: that socio-cultural patterns are dynamic and necessarily change due to the vicissitudes of history and that “tradition” here(that is, from the anthropological point of view) does not mean “safeguarding relics” and much less “cultural salvaging” (for the Terena will remain a Terena in any situation). What we mean is that, with increases in the areas of the Reserves, it is very probable that, afterwards, a series of processes will be initiated that will irremediably change the landscape of those areas – such as the return of the forest covering in the areas of pastures; the restructuring of the presently existing secondary forests; the clearing of new areas for gardens that will alleviate the pressure on the remaining plants in the areas which are currently occupied; the emergence of points for gathering and the re-composition of the fauna – becoming indigenous through its mode of use and appropriation. The agriculture that the Terena practice today is different from what they practiced before the War with Paraguay. Before, they had a territory that was sufficient for developing swidden agriculture, with time sufficient for regeneration of the natural fertility of the soil. Today, confined on reserves – a factor that has proved to be fundamental for the transformations that occurred in their traditional agriculture - the Terena possess permanent cultivation fields, utilizing mechanized forms (tractors) for harrowing and preparing the soil for planting and occasionally for clearing new areas for permanent cultivation. The practices currently utilized are later adaptations to this forced “modernization". Of all the productive activities practiced by the Terena on the Reserves, agriculture continues to be their main activity. The agricultural year on all the reserves begins in August, and ends in March/April, with the planting of beans of the "dry period". The agricultural production obtained in the areas of the Terena garden is set aside for family consumption, and, when possible, for sale – which is ever more rare, due to the drop in agricultural prices. On the Buriti reserve, rice, beans, manioc and corn are the principal products planted for consumption. They also cultivate for subsistence beans, pumpkin, watermelon, maxixe, and other plants. As a general rule, the gardens belong to the domestic group (which sometimes includes more than one elementary family). As observed before, due to the dynamic of succession in the paternal line, the plots of land already cleared by an agnatic kingroup tend to remain in the domain of consanguineal brothers, emphasizing the patrilineality of the Terena kinship system – and the virilocality of post-marital residence (the wife goes to live in the husband’s house, which is his father’s house or very near the neighborhood group of the same); due to this composition, the gardens of a single group of brothers are distributed in contiguous areas, as we have also said. This group – under the authority of the eldest brother – decides on when and what to plant and works collectively in its "section", despite the recognition of the individual property of each member to each "section". This description serves for the oldest groups of the reserve, which are descendants of the founders of the villages or the first migrants. The migrants – with no base or support in the kingroup – tend to clear new gardens (as they did in the past) in areas granted by the chief. Considering the fact that the Reserves consist of areas that are clearly defined and insufficient to guarantee a minimum food security for all of its populations, the practice of agriculture is done on already cleared plots of land and with tractors. Until recently (five to seven years ago) there even occurred a small advance towards the areas of "capoeirão" (vegetation in the stage of regeneration from 15 to 20 years) present around the open gardens, through a technique called “de-stumping”: starting from an already cleared area, they go further into the secondary growth taking out the thickest stumps, in such a way that what’s left are the thin trunks and the stumps of trees. After cutting the trees with axes, they lop the branches, taking out the thickest branches to be used as firewood. Having cleaned out the trunks, these are taken out of the gardens and set aside for a wide variety of uses: roofing, posts, and even for sale (high quality wood that has commercial value). The remaining material in the garden areas (woody and not woody) was heaped up next to the arboreal and burnt stumps. This gradual "de-stumping" can still be utilized even today, depending on the availability of supplies (oil, tractor and money for the tractor driver). We didn’t obtain conclusive data with regard to the time of fallow for garden areas; it was only observed that this differs within and among gardens, varying between 2 and 3 years, however we did not survey data on the criteria of choice for re-utilizing or abandoning these areas, like the size of vegetation and soil type, among other factors. The old garden areas, which are put to a more intensive use of the soil, are found covered with "colonião" weeds and are much utilized for agriculture. The newly prepared areas for agriculture are basically set aside for gardens with corn, rice (in the few naturally irrigated areas and those of black soil) and beans. The areas set aside for the planting of these grains demand a level of soil fertility different from other crops, which is considered as a criteria for the choice of the areas. In the corn and bean gardens (in the more elevated areas), one can see a great diversity of associated plants, like pumpkin, watermelon, sweet potato, maxixe, among others. These secondary plants have the function of covering the areas of soil between the main crop plants, thus reducing the invasion of weeds in the garden. When the productivity of the main types begins to diminish in the garden areas, these same areas, in the following year, are set aside for the planting of root crops (manioc, sweet potato, maxixe) and other plants which demand less in soil fertility – for a certain time, until the recovery of part of the soil fertility. In the lots set aside for the gardens, each domestic group can cultivate what it wants to in these areas. It can be observed nevertheless that these lots are not normally utilized in their totality. Each lot forms a mosaic of small areas in distinct stages of succession, showing that there is planning in the agricultural use of the lot which takes into consideration the fertility of the soil, keeping areas in fallow for future use. We also observed the direct influence that the outside world exercises over the Terena villages. The model for conventional agriculture practiced by the purutuyé, represents an example of success for several members of the village. This relation has resulted in the loss of the seeds that the Terena traditionally used and the introduction of agricultural tools that today seem to be irreplaceable for local agricultural practices. An example is their dependence on the tractor to till and fence the soil of the garden areas. In the group of Terena villages, the worst “pest”, in the view of the "farmers" is the "carrapicho"[“beggar-lice”] (Cenchrus echinatus), which generally technical experts understand as a sign of de-structured soil due to intensive mechanized cultivation, for consecutive years. According to these technical experts, the constant churning of the tropical soils by grading, has a de-structuring effect on the soil’s natural texture, which, when associated with the loss and non-replacement of organic material, makes the soil fertile ground for the appearance of the beggar-lice. Another problem noted, which has led to a sharp drop in productivity, is the compacting of the soil. On the other hand, indigenous policulture is still present, despite the beginnings of the “green revolution" (process of modernization of agriculture begun in the 1960s spearheaded by large multinational companies specializing in fertilizers and certified seeds) which was imposed on the Terena due to the circumstances of the spatial limitations on the Reserves. Even in the cases where strictly “commercial” gardens have been introduced, except in very rare cases (such as the one described above) has there been observed a plantation with more than one hectare of strict monoculture. Also, homogeneity in the forms and techniques of planting has not been observed – which apparently is technically very positive. Several cultural practices seem to be traditional techniques of the group, there being a greater or lesser influence of the techniques introduced with the “green revolution” of the ‘70s – when, according to the Indians, in a period of five years, they lost all native seeds and many of the traditional practices for storing. The use of the tractor tends to de-structure the soil, making it more compact (thus sacrificing its porosity). In this case, these deficiencies, which interfere significantly in the productivity of the soils, could be solved with conventional techniques such as fertilizing and liming. However, this requires more raw materials to which the vast majority of the Terena on the Reserves don’t have access. And as the availability of the territory is limited, with time, the question of degraded areas becomes serious. One observes, then, several chronic elements in the gardens of the Cachoeirinha Reserve in relation to soil use, and that perhaps may occur in all the other Terena Reserves, and that probably can be understood through the same diagnosis: on the borderline of pressure on the natural resources still available, soil exhaustion in the physical sense and its low fertility are an inexorable tendency, which year by year puts more strain on family subsistence on the Reserve, whether in Cachoeirinha or in other reserves. Despite this not very encouraging picture, the Indians’ vocation as agriculturalists (undoubtedly the activity that, so to speak, defines the Terena ethos) is still highly valued on the reserves. The areas of vegetation preserved at high costs in Cachoeirinha – despite the internal pressure for new planting areas – reflects more than a clear intention to preserve, it reflects the lack of resources to clear new areas – and the political nature of this question which is delicate. On the other hand, the Terena families who live off agriculture aren’t able to derive from it the minimum income necessary to maintain the domestic groups throughout the year. The average number of members of this group is five people, according to the survey done by Technical Group 553/FUNAI ( in the year 2000), which had as its mission to undertake preliminary surveys for the purpose of re-studying the borders of the Cachoeirinha, Taunay e Buriti indigenous lands. The cultivated areas per domestic group do not surpass 1.5 hectares, and have an average productivity per hectare (according to the Indians) of 20 sacks of beans, 12 of corn, 0.5 kg of manioc per plant (and considering the cultivation of ½ a hectare, on the average) and ten sacks of rice. Thus, the gardens, when successful, only guarantee just the food security necessary for most of the domestic groups of the Reserves. And in order to be successful, the leaders have to guarantee that the government agencies (prefectures, state agencies and the Funai, in that order) will provide the necessary supply of diesel and seeds and even expect that the tractors will be in good condition. However, this situation puts the Terena farmers of the Reserves in a situation of almost absolute dependency on external supplies (oil and seeds) – a dependency which ends up by submitting the indigenous leaders to the most base kind of "clientelism", above all on the part of the municipal authorities, which are eager to get indigenous votes. Given this situation, the indigenous farmers only have control over “what to plant”, but not over “how much and when to plant". Hence the differences, year by year, which are verified in the areas effectively planted on the Reserves. Another point worth highlighting, is the observation that the inequality in the distribution of the garden plots, added to the differences in the performance of the leaders of the agnatic kingroups, is reflected in the existence of domestic groups which are more “successful” than others, in terms of their “living conditions" (and domestic equipment and clothes are the visible signs of these differences). 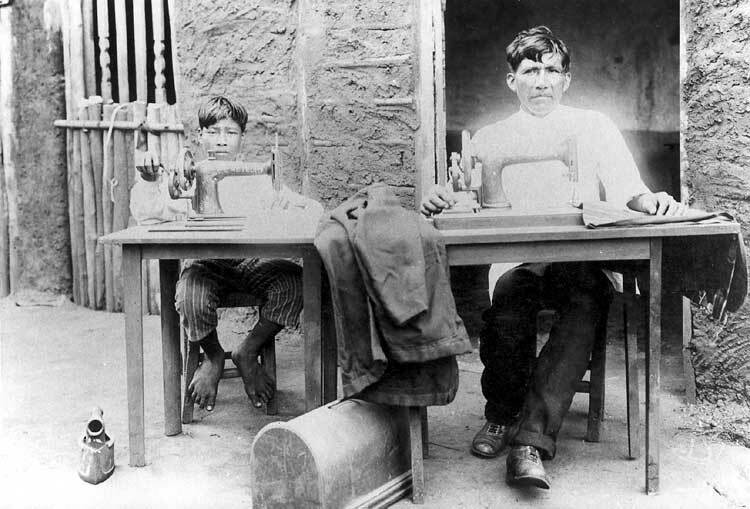 As was observed, despite the fact that the Terena ethos can be translated, so to speak, into agriculture, these people never gave up the activity of raising cattle, and horses, an occupation that they inherited, and then later assumed as their own, from their long association with the Mbayá-Guaicuru. This knowledge was fundamental in the years following the war with Paraguay, for the insertion of many Terena was as colonists and preferred cowhands on the ranches of the region. In other times, access to the herds seems to have been restricted to the naati – chiefs of local groups who had the privilege of receiving, through the exchange of their women with the Mbayá "big men" Mbayá, cows and horses. Today, this access is restricted to the “successful” Terena ", that is, who are able to get enough money to buy several head of cattle, whether through many years spent in the changa or by means of any other job in the world of the purutuyé. But cattle-raising is still a sign of high status on the Terena reserves. On the other hand, cattle-raising – given the limitations of the reserves – has turned into one of the principal sources of internal conflicts. And it already was in past times, as a result of the division proposed by the then Major Rondon at the time the Cachoeirinha and Taunay-Ipegue reserves were delimited, between garden areas and areas set aside for raising. the "closing" of the pasture areas inside the Reserves was always the source of political problems, for it took away from a common area a parcel greater than that required by the gardens – and for strictly individual purposes, since the “community” herds introduced by the SPI were terminated years ago. Several families even raise pigs in pens. And practically all families have a small brood of chickens they raise which, along with the meat from some game or fish, are their principal sources of animal protein (that is, which are not acquired from the outside) on the Reserves. Only in Cachoeirinha and Taunay-Ipegue did we observe that artwork plays a significant role as an economic activity – and it is one of the sources of income for the women, along with ceramics. Unfortunately, we did not gather quantitative data that might indicate the size or importance of the Sales in the budget of the families that produce ceramics. The Terena entry was elaborated by the anthropologists Maria Elisa Ladeira and Gilberto Azanha, of the Center of Service for the Indigenous Peoples(CTI), based on anthropological and linguistic research which they have undertaken with the group. Ladeira’s doctoral thesis was entitled “A Socio-lingusitic Analysis among a Terena group”, Program of Social Anthropology of the University of São Paulo, in 2001. Azanha is responsible for the technical group 553/FUNAI, which had, as its mission, “to do preliminary surveys for the purpose of restudying the borders of the Cachoeirinha, Taunay and Buriti Indigenous Lands” (Azanha 2000). Besides the authors of this entry, the Terena have been studied by the anthropologist Roberto Cardoso de Oliveira, whose work is a reference point for the study of these people. His principal books on the Terena are: Urbanization and Tribalism: the integration of the Terena Indians into a class society (Zahar Editores, 1968) and From Indian to Bugre: the process of assimilation of the Terena (2ª ed. Francisco Alves, 1976). In this entry there are numerous references to the work of Cardoso de Oliveira. 8 The post-war impact: “times of servitude"